Profile Response: David Hitchcock, The Woodlands, TX | How Will We Live Tomorrow? David Hitchcock is a paradox – an alternative energy guy seeped in oil pedigree, living in an oil town. David was born and raised into Phillips Petroleum in Bartlesville, Oklahoma; his family moved to Houston forty odd years ago. 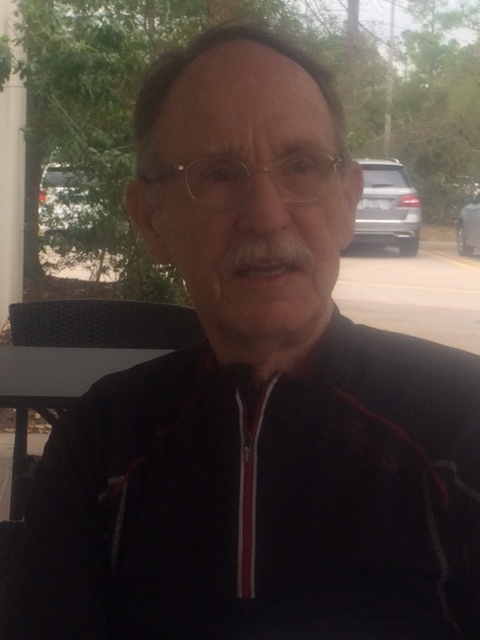 He worked for the City of Houston promoting green roofs, electric cars, and hydrogen vehicles; researched alternative transportation at The Rice Center until it folded in 1980’s; then shifted to alternative fuels at the Houston Alternative Research Canter (HARC). David’s life has been integrally tied to George Mitchell, the oil, gas and real estate billionaire who developed fracking around the same time he founded HARC. Larger than life Texans often poke their fingers into seemingly disparate pies. Twenty years later David thinks one thing has changed for the better: how Houston addresses environmental concerns. “Houston has always addressed environmental issues with lawyers.” HARC has shifted the discussion to science as opposed to regulation. Among other strategies, David received funding to identify refining leaks via infrared photography, which led to emission reductions. Twenty-three years ago David moved from center city to The Woodlands, one of thirteen new town developments in the United States conceived and supported by the federal government in the late 1960s. 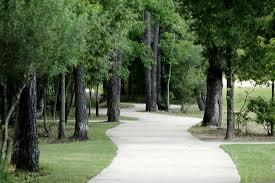 Located thirty miles north of downtown and developed by George Mitchell, The Woodlands is a collection of villages connected by bucolic parkways and a separate pathway system for non-motorized movement. There is minimal signage and thousands of trees. 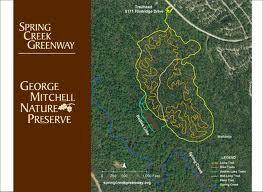 It’s a pleasant place to bicycle, though with every path and intersection lined with loblolly pines, The Woodlands is confusing for a first time visitor. David and I met for coffee at the Starbucks at Panther Creek Village Center. Although he told me, “there are 4000 people within walking distance of this center and an elementary school,” that estimate seems a stretch considering The Woodlands’ low-density, automobile focused development. 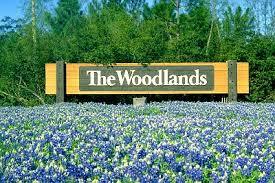 “Does The Woodlands work? I come here almost every day. This Starbucks is my community center. I see people I know. Thirty percent of our land area is drainage. The density is low. There are animal passages preserved across town. There is an interfaith coalition. Unfortunately, most of the Christian cohort dropped out. “I see a lot for acceptance of transit, and acceptance of rebuilding bayous, to live downtown. I have a 30-year time horizon. It’s difficult to project 30 years forward. It’s like asking in 1970, what’s a smart phone? But we build our buildings for a long time. When we built The Woodlands Town Center, people asked would it be a success? I said we would know in 50 years. This entry was posted in Responses and tagged David Hitchcock, George Mitchell, HARC, Houston TX, The Woodlands TX. Bookmark the permalink. Can you correct my name? I like Hancock, but my Dad liked Hitchcock better. Please forgive me – what a terrible error. All set, Mr. Hitchcock. It’s an old saying — doesn’t matter what the story is, just spell my name right. I’m thinking/praying/mindful of your injuries. I don’t believe in an active higher power in our day to dayness, but i do take time to bring people into mind. My mentally disabled sister was assaulted by a housemate in her group home (not sexually) and so she is part of my daily thoughts. You too have been. Thanks for your thoughts – I have been healing well.